EUR is under the influence of German and French Flash Services PMI and German and French Flash Manufacturing PMI in Eurozone and The US is publishing Existing Home Sales, Flash Services PMI and Flash Manufacturing PMI. 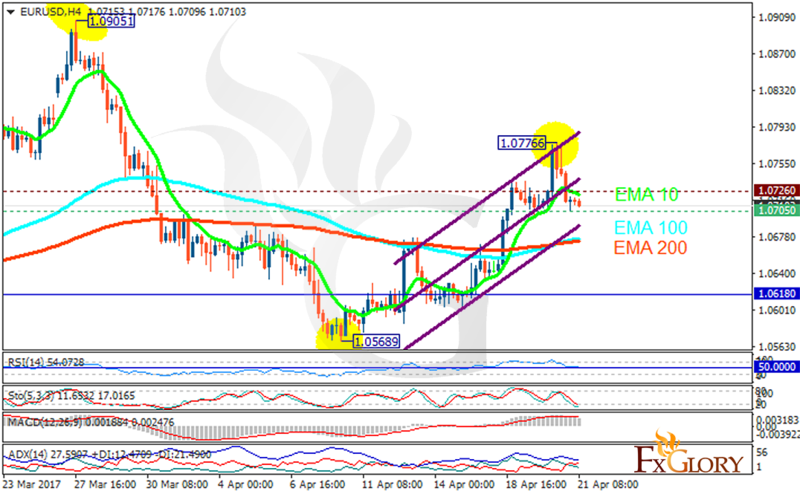 The support rests at 1.07050 with resistance at 1.07260 which both lines are above the weekly pivot point at 1.06180. The EMA of 10 is moving with bullish bias and it is above the EMA of 100 and the EMA of 200. The RSI is moving on the 50 level, the Stochastic is moving in low levels and the MACD indicator is in positive territory. The ADX is not showing any clear signals. We stay bullish for this chart targeting 1.080.